Dr. Henry Chin joined CBRE in February 2014 as Head of Research, Asia Pacific. Dr. Henry Chin is responsible for overseeing all research activity across the region, which includes India, Greater China, South East Asia, Japan, Australia and New Zealand. Henry and his team ensure that a full and innovative range of research, analysis and consultancy services is provided for CBRE clients. In 2016 Henry was promoted to CBRE’s Asia Pacific Strategic Group (APSG), the board which oversees CBRE’s strategic direction in the region. 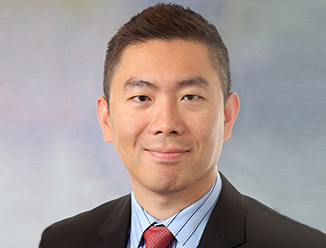 Before joining CBRE, Henry was Head of Asia Pacific Research and Strategy at Pramerica Real Estate Investors, Prudential Financials Inc. for two and half years. In this role, Henry was responsible for developing and providing real estate investment strategy in Asia Pacific. This analysis guided decision-making across the business—at strategic and tactical levels—and supported a series of publications on market issues and prospects. Before joining Pramerica, Henry was with Deutsche Bank Group, where he had numerous roles, ranging from Global Real Estate Strategist based in London to Co-Head of Real Estate for Asia Pacific for their Private Banking business. In the Private Bank, Henry worked as Co-Head of Real Estate in Asia Pacific and was responsible for originating third-party real estate funds and marketing these funds to HNWIs. Henry also previously served as Global Real Estate Strategist at DB RREEF’s offices in London and Hong Kong, beginning in 2005. In this role, Henry was responsible for developing and coordinating DB RREEF Alternative Investments’ global coverage of real estate markets. Henry also established DB RREEF's Asia real estate research capability back. Prior to this, Henry was the lead Asian real estate analyst in DTZ’s London office. Henry is a Visiting Professor at Oxford Brookes University (UK); and an Assistant Professor at National Taipei University (Taiwan). He is also a member of various industry institutions, such as the Society of Property Researchers (SPR), Investment Property Forum (IPF), Urban Land Institute (ULI), Asian Public Real Estate Association (APREA), Asia Non-listed Real Estate Vehicles (ANREV), International Council of Shopping Centres (ICSC), SFC Hong Kong, HKSI and UKSIP. He currently serves as a chairman for the ANREV research committee. He holds an Investment Management Certificate (IMC) in the UK. Henry has more than 16 years research experience in the Asia Pacific and Global real estate markets. He holds a BA in Land Economic and Administration from National Taipei University (Taiwan); an MSc in Real Estate from the University of Reading (UK) and a PhD in Real Estate Investment from Oxford Brookes University (UK). He has presented and published numerous papers at various leading international real estate conferences and in academic journals.